More refined than ix35. Cabin is spacious and comfortable. Lots of family appeal with affordable running costs and huge boot. Five star Euro NCAP rating. Not the sharpest SUV to drive. Some cheap and scratchy plastics in the cabin. Ride can get a bit bumpy on poor roads. 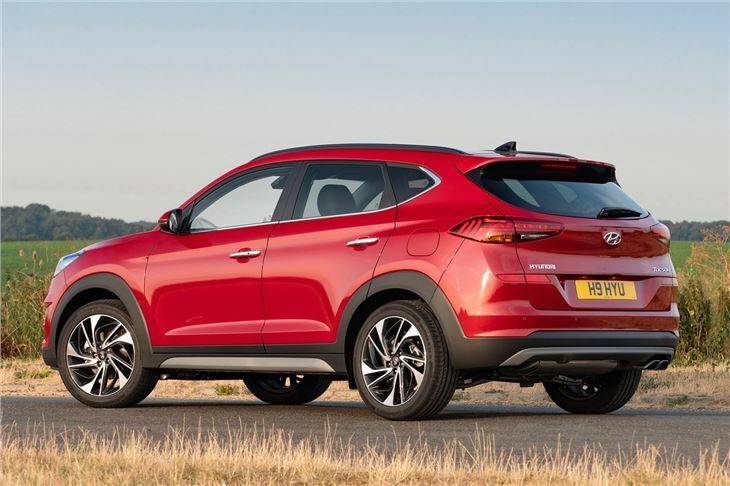 Stylish and good value, the Hyundai Tucson is a crossover that has lots of family appeal. Much of that is down to its large interior, refined ride and affordable price. 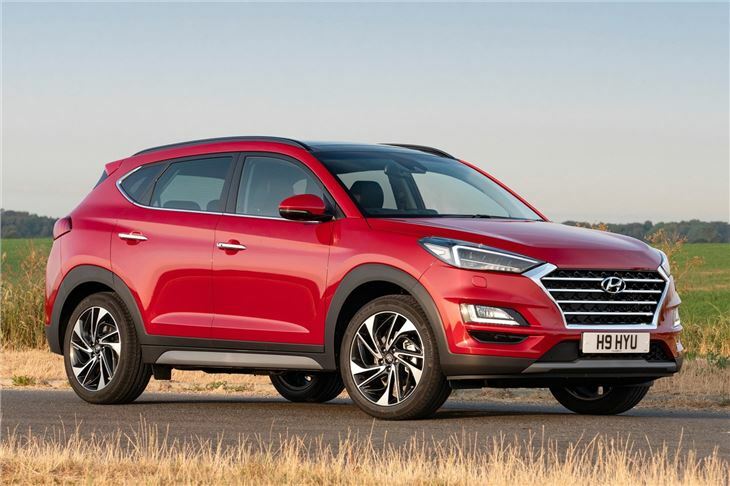 Replacing the ix35 in the Hyundai SUV line-up the Tucson offers more space and equipment than its predecessor. It has a more purposeful look, with an aggressive design that has an imposing front grille, large wheel arches and bulging bodylines. As a result it looks a lot more like an off-roader compared to the curvy styling of the ix35. 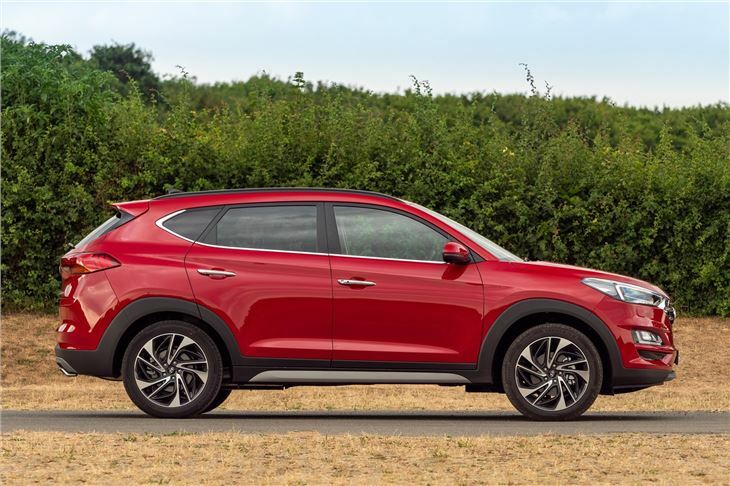 The Tucson is well-equipped and all models get alloy wheels, a rear spoiler, automatic headlights, LED daytime running lights and steering wheel controls. It also gets Hyundai's unlimited mileage five year warranty, which is still one of the best in the business, compared to the conventional three year/60,000 mile warranties. 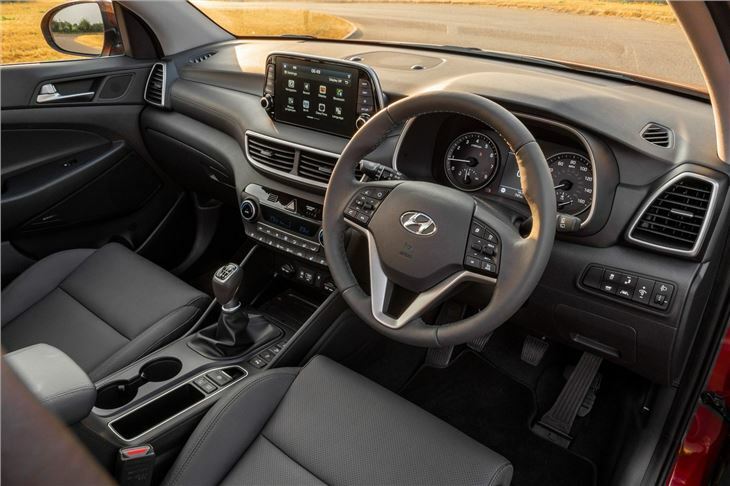 The cabin of the Tucson is durable and spacious, but slightly let-down by the occasional splash of dull and scratchy plastics. The large, comfortable seats have lots of lower leg and upper back support though, while the wide base allows up to three adults to sit across the rear bench. 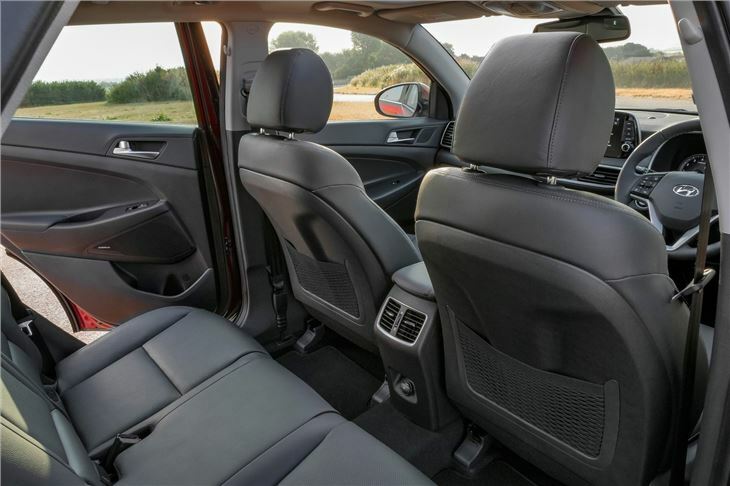 There's no shortage of leg room either, which means the driver can push their seat back a considerable distance without squashing the legs of those in the back. There are five engines to choose from – two petrol and three diesels - and the most economical option is the 1.7 CRDi with 116PS which returns a claimed 61.4mpg. If your annual mileage doesn't warrant diesel power then there's an entry-level 1.6-litre petrol which is also front-wheel drive. 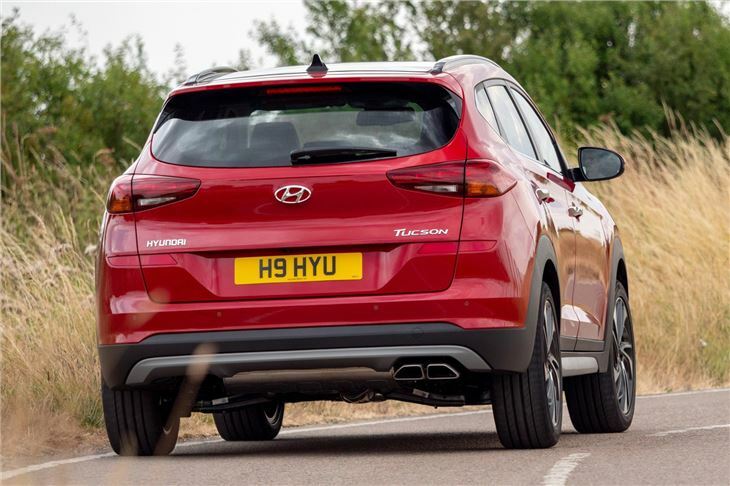 Fuel consumption for the more powerful 1.6-petrol and 2.0-litre diesels is less impressive, although they do give the Tucson a considerable boost in straight-line performance and also get four-wheel drive. 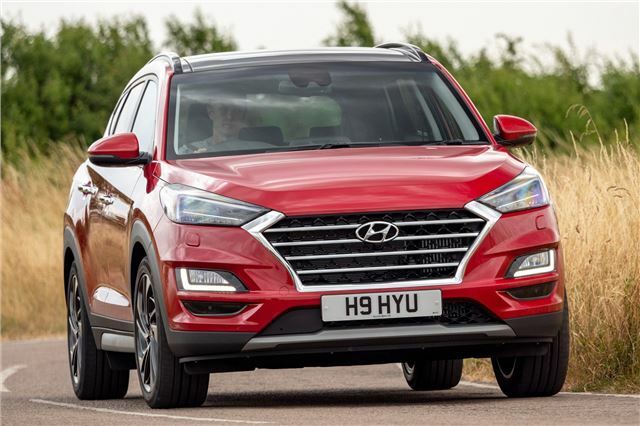 However, even with this, the Tucson is never involving or fun to drive, due to its overly light steering and lack of feedback in the corners. That said, the Tucson is a good value crossover that's practical and easy to live with. What's more, if you opt for one of the lower trim models - like SE Nav - you'll get a well-equipped car that will give all of the practically, comfort and refinement of a premium car, but for a fraction of the price. Great to drive, reliable, comfortable, thirsty on petrol in town, much much better on motorway. Comfortable car with good passenger/boot space,quiet and confortable to drive.